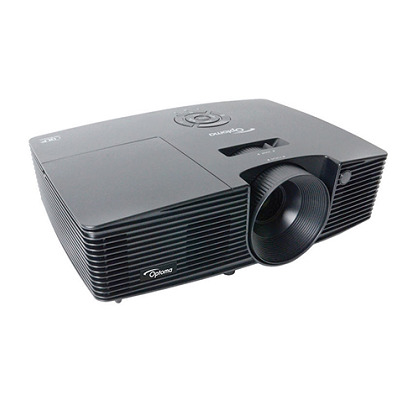 3D Support Full 3D – The 3D features of Optoma projectors can only be used with compatible 3D content. Typical applications include 3D educational, design and modelling systems, 3D TV broadcast systems, Blu-ray 3D™ and 3D gaming consoles. 3D glasses are needed and are sold separately. 3D content can be viewed with DLP Link active shutter glasses when projector is used with a compatible 3D player. Refer to user manual for details. 3D Compatibility Supports all HDMI 1.4a mandatory 3D formats (Frame pack, side-by-side, top-bottom) and up converts frame rate from 60Hz to 120Hz or 24Hz to 144Hz (i.e 60 or 72 frames per eye).